All LIMESTONE RANCH homes currently listed for sale in Boerne as of 04/26/2019 are shown below. You can change the search criteria at any time by pressing the 'Change Search' button below. 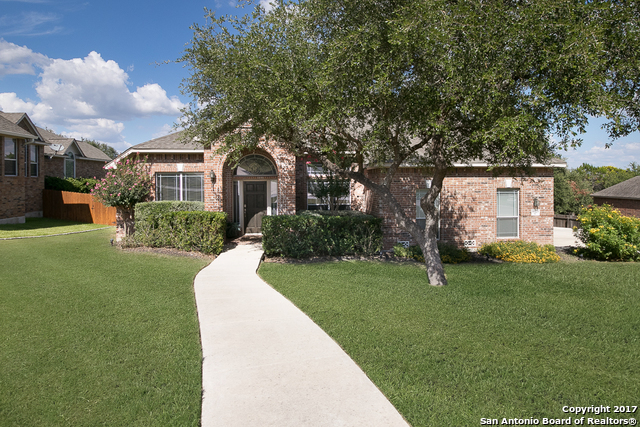 "This 4 bed 3.5 bath home in Boerne ISD is the perfect mix of luxury and comfort. Here you'll find timeless crown molding, high ceilings & a spacious kitchen. This stunning home is placed on a beautifully manicured .55 acre lot within the gated community of Limestone Ranch. The generously proportioned interior flows effortlessly from the open-plan living space to the large backyard where you can admire the views of the garden and escape the busy city. Perfect for entertaining & full of inclusions"
"Beautiful one and half story on over a half an acre in gated community. Media room upstairs and all bedrooms downstairs. Large windows and high ceilings add to the open and airy feel. Island kitchen with breakfast nook. Family room with fireplace and built-ins. Master bath has huge walk-in shower and bedroom has vaulted ceilings and lots extra room. Good size secondary bedrooms, including a guest suite. Outdoor kitchen, deck, and fire pit with seating to enjoy. Side entry garage."